On Saturday February 7, 2009, CFA members around the state were poised for the worst fire danger day in living memory, following sustained extreme temperatures and a forecast of 50 degrees with strong northerly winds — in short, a recipe for a disaster. Crews gathered in fire stations across Victoria, including those around Warrandyte. The events of Black Saturday are well known, and have almost passed into the annals of history. However, one group of volunteer firefighters who put their lives on the line to battle the inferno that erupted that day have had to wait until now to receive the recognition they greatly deserve. 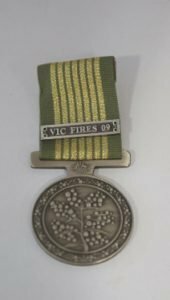 Some nine years later, the members of South Warrandyte Fire Brigade have received their National Emergency Medal, to honour the service they gave to the community on Black Saturday. 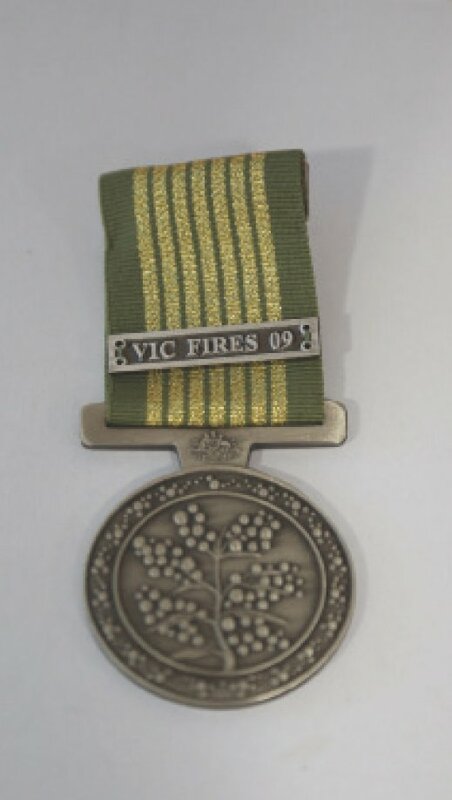 The National Emergency Medal was first issued in 2012 and was struck to recognise “sustained service during specified dates in specified places in response to nationally-significant emergencies within Australia; or to other persons who rendered significant service in response to such emergencies”. Those events included the Black Saturday bushfires, the 2009/10 Queensland Floods and Cyclone Yasi. 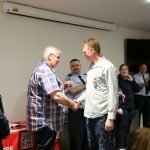 In a presentation at the South Warrandyte Fire Station in early October, 11 members of the South Warrandyte Fire Brigade received the National Emergency Medal in front of their families and CFA colleagues. Responded to St Andrews and subsequently to Kinglake on Black Saturday and then responded to events in St Andrews during the aftermath for a total of 12 days service during the period. Responded to Kinglake on Black Saturday with a total of eight days service during the period. Responded to Kinglake on Black Saturday and then responded to events in St Andrews in the aftermath for a total of nine days service during the period. Responded to Kinglake on Black Saturday and then to events in St Andrews during the aftermath of Black Saturday for a total of 21 days service during the period. Responded to events in Bunyip and Drouin on Black Saturday and to events in St Andrews in the aftermath for a total of 12 days service during the period. At the request of Woori Yallock Captain Bendigo Bank released Chris to fulfil Communications support at Woori Yallock ICC. Chris fulfilled his Communications Support role during the evenings while still carrying out his work for the bank in the relief centres during the day, with a total of seven days service during the period. Responded to St Andrews and subsequently to Kinglake on Black Saturday and then responded to events in St Andrews during the aftermath for a total of eight days service during the period. Responded to Kinglake on Black Saturday and then responded to events in St Andrews during the aftermath for a total of 15 days service during the period. Responded to St Andrews and subsequently to Kinglake on Black Saturday and then responded to events in St Andrews during the aftermath for a total of 20 days service during the period. Radio Operator at Kangaroo Ground Incident Control Centre during Black Saturday and the days that followed for a total of seven days service during the period. Operations Officer at Kangaroo Ground Incident Control Centre during Black Saturday and the days that followed for a total of nine days service during the period. On Saturday February 7, 2009, South Warrandyte were at the station early in readiness for an extreme fire danger day, assigned to multiple locations we had members manning the ICC at Kangaroo Ground in management and radio operator roles, another member on Pumper Tanker Strike Team 1306 deployed to Bunyip and Drouin where significant fire suppression and asset protection activities were carried out throughout the day and night. In addition, our members were assigned to the brigade nominated Strike Team 1364 on multiple appliances including the Warrandyte FCV and the Strike Team Leaders vehicle, North Warrandyte Tanker and of course our own Tanker. Importantly we also had the crew in station fulfilling vital roles of protecting our own local communities and responding to incidents in our own assignment area. We also had an ex-member at that time (now a current member) providing support to the Woori Yallock ICC. This was a team effort by our members across many parts of the organisation. Strike Team 1364 was responded to form up at Hurstbridge fire station in readiness for deployment to St Andrews where a major spot fire from the main Kilmore fire had started, crews were deployed on Jacksons Road at approximately 4:30pm and commenced fire suppression activities and asset protection, at the time of the severe change in the weather conditions, crews moved to a safe zone as the fire intensified and the fire front moved through. Once the front had passed, crews of ST1364 were re-deployed via the Whittlesea staging area where they were the first team to enter into the devastation of Kinglake. Crews were assigned to fire suppression and asset protection in an attempt to save lives and property. The South Warrandyte Tanker crew was specifically assigned to the Kinglake Primary School where a large number of residents were taking refuge. The crew set up there for the night to ensure the facility remained defendable and residents were assured of their safety. The morning of the 8th at around 6am first responding crews were relieved by our changeover crew who had already been up much of the night having been faced with the logistic challenges of getting into the fire zone. Those crews commenced the painstaking and heart-wrenching task of recovery whilst also maintaining fire suppression activities. During the ensuing days crews continued to be responded to local incidents in addition to responses back to Kinglake and Christmas Hills, while members also played significant leadership roles in the recovery and rehabilitation program in the Kinglake complex. During this time, our members at the ICCs also continued to carry out important roles in supporting and co-ordinating the crews on the fire ground and much more. Following Black Saturday, South Warrandyte members along with other Warrandyte brigades also took on the 24/7 manning and operations of the St Andrews Fire Station, this was done to allow their members impacted by the fires to go off-line and attend to their personal needs and recovery. Those crews manning the station continued to conduct fire suppression, containment and recovery operations. St Andrews Captain, Helen Kenney acknowledged the positive impact of these crews and relief and support they provided to her members. “Black Saturday was an unprecedented event which had significant impact in so many ways on CFA members and their families and communities we protect, on behalf of the members receiving the medal today I would like to thank the CFA and Government House for recognising the members for their commitment to protecting our communities during the 2009 Victorian bushfires. I also pay our respects to the 173 people who lost their lives in this devastating event. These well-deserved medals may have been a long time coming, however the depth of gratitude towards these Black Saturday heroes is no less than it was nine years ago. 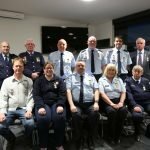 Current Brigade Secretary Kim Dixon has worked for over twelve months to organise the presentation to formally recognise the service and commitment of the South Warrandyte firefighters. Readers of the Diary should be mindful that the devastation of Kinglake could very easily have played out in our own town, and remain vigilant and be thankful for the volunteers that strive tirelessly to protect us from nature’s wrath.